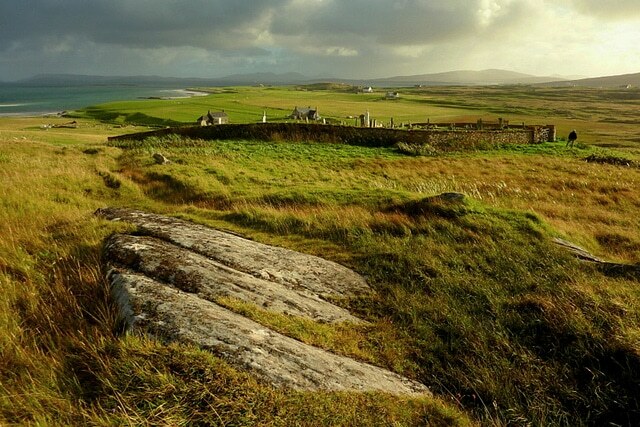 The Outer Hebrides are a chain of islands off the coast of Scotland. There’s some beautiful scenery across the islands and more than enough to see and do. Perhaps explore just one island or move between them. The major islands are Lewis, Harris, North Uist, Benbecula, South Uist and Barra. Image via marcusjb on Flickr. At the Monarch Isles Nature Reserve you can see a whole host of wildlife. 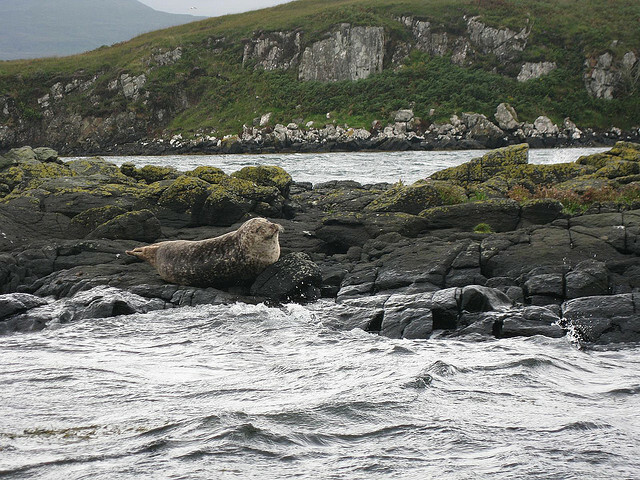 In autumn the five islands that make up the reserve play host to a colony of Atlantic grey seals. You’ll also be able to see one of the largest colonies of guillemots in the UK. Visit in the summer and you’ll be able to see all sorts of birds feeding their young as well as a range of colourful plants and flowers. Visiting historic sites such as this are a must do in the Outer Hebrides. 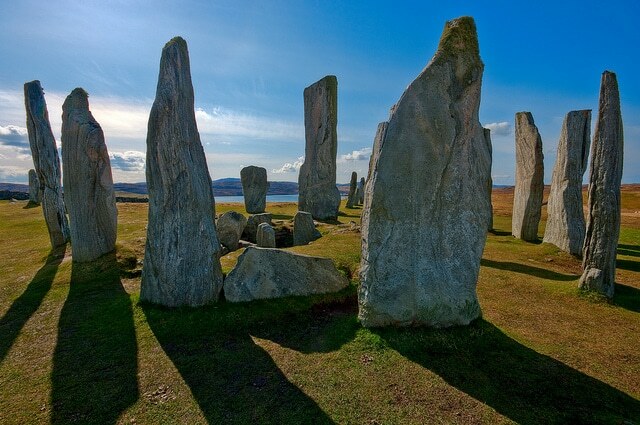 The magnificent Standing Stones of Calanais are famous worldwide. No matter what the weather is like and however many visitors are present, these ancient stones have an enigmatic, magical quality that never fails to impress. Image via bluesky4691 on Flickr. The joy of having such a lovely group of islands is that you can take boat trips between them all. Sea Harris is a cruise company based on the Isle of Harris. They offer trips to islands such as St Kilda as well as some of the smaller islands like the Shiants.Take some time to relax and see the Other Herbrides from the sea. The Enchanted Isle is a boat with all the facilities you need for a comfortable cruise. This means that whenever you go during their running time, you’re going to have a safe, pleasant and memorable trip. If you don’t fancy a romantic dinner this early in your relationship, why not stop at a lovely café for a coffee and a bite to eat. You’ll have a beautiful view of the mountains but also the local wildlife. While you enjoy a drink you may see otters, herons and golden eagles. The café also has a lovely gift section where you can buy Harris tweed, jewellery and perfumes. Perhaps you’ll want a souvenir as a long lasting reminder of your date. Image via carron on Flickr. Taigh Chearsabhagh Museum & Arts Centre is an award-winning museum and gallery which boasts a photography gallery, art and craft workshops, a sculpture trail, café and shop. This is a great place to visit if you want to learn more about the area. The museum explores the life of North Uist and there are plenty of beautiful artefacts to be seen from the 19th and 20th centuries. There are regular events hosted at the museum from a film club to some amazing print workshops. Check to see if there’s anything on before you visit as some events you will need to book. The café serves all sorts of lovely food and drinks and gives great views out across the Isle of Harris. Image via fitlikemine on Flickr. Background image via carron on Flickr. Looking for dates in Western Isles? 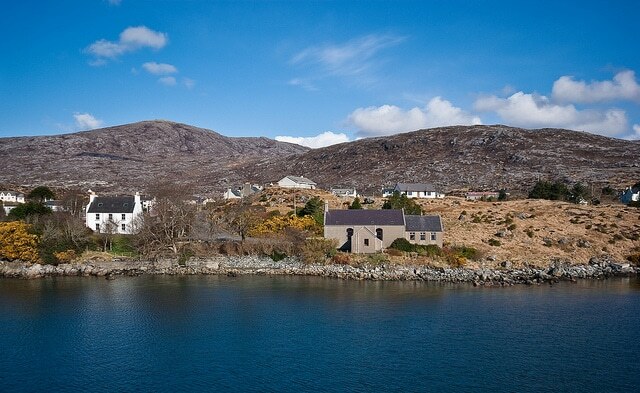 Double your chances and give Date Western Isles Singles a try for free today.